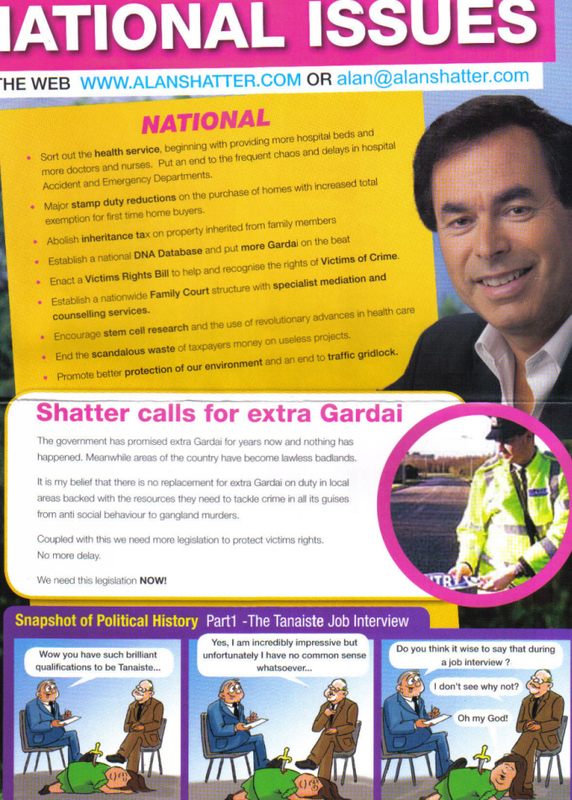 From 2007, one of the most bizarre leaflets I’ve seen. 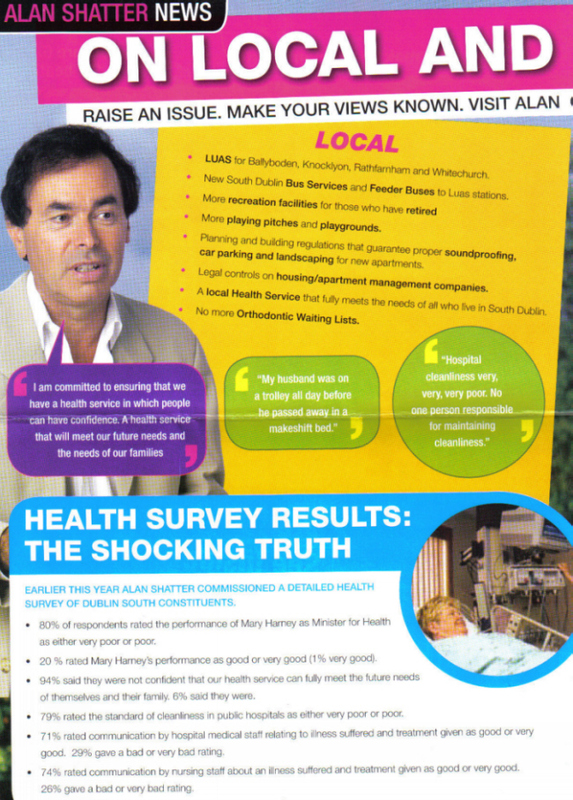 Alan Shatter dressed up (or photoshoped) in Star Trek gear. Funnily enough William Shatners middle name is Alan, William Alan Shatner. 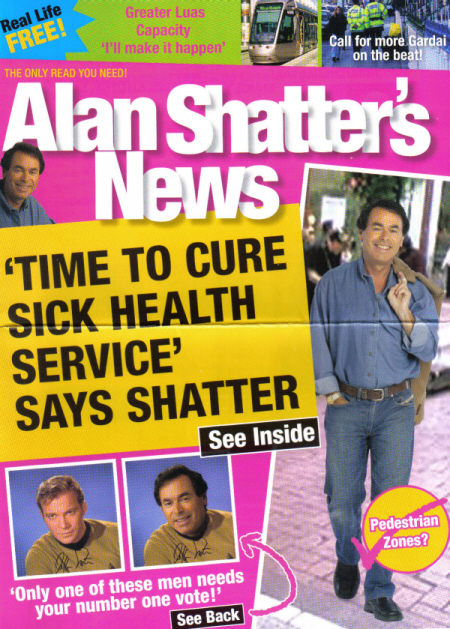 Alan Shatter ….Alan Shatner … Its a pity Alan Shatters not younger , otherwise there would be a chance that he was named Alan as a tribute to the Star Trek Actor! I’ve pared down the size but given the amount of colour involved the images are still big. 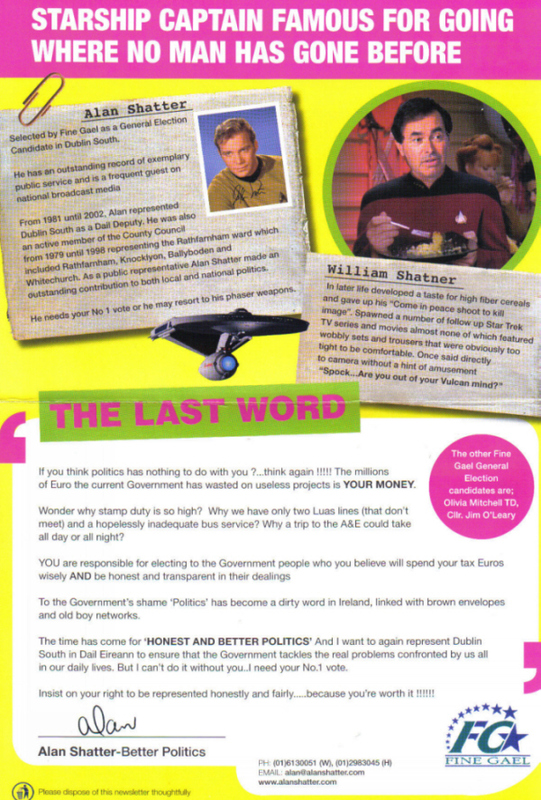 That is unreal, there must be a big Trekkie vote in Dublin South!